For the readers who don’t know you yet, could you please introduce yourselves and tell something about Incused? You mentioned pagan/folk metal, is that the best way to describe the music you make? What are your greatest inspirations/influences? Can you tell me more about your new album ‘Elderslied’? Is it a concept album? How about the process of making this album? of progression. Do you think the same way about this? All the lyrics are in English, have you ever considered singing in Spanish? In what way is Incursed different from other folk/pagan metal bands? What was the best gig you played so far? And where would you really like to play in the future? 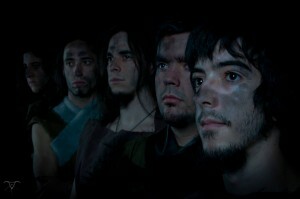 Do you think people are prejudiced because you are a folk metal band from Spain? 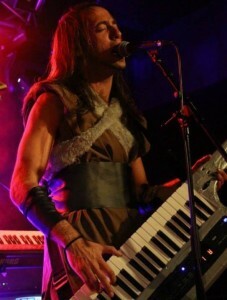 Do you think It may be more difficult for you to get recognition than, for example, a folk metal band from Scandinavia? “Many people, when they first hear of a Pagan Metal band from Spain, think that nothing good can come up from there. But when they listen to us they realize that it does not depend on where are you from, it depends in if you really like what you are doing and put your effort in making good music. Many of the reviews we received of ’Fimbulwinter’ said this. There were also some people who really got offended because we were Spanish. But hey, we do not expect to please everyone in the world, so I guess they won’t listen to us anymore! of what we’re doing, so blame us or send us to hell, we’ll be doing it for fun forever”! Thank you for this interview. Is there any last words you would like to share with us? “Thank you too for your questions and your support! 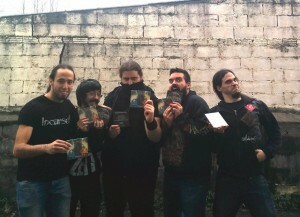 You helped us to spread our music when we released ‘Fimbulwinter’ and this counts for us! We hope to play in Netherlands someday so we can meet you and share a drink with you guys! Remember to follow us on Facebook (facebook.com/IncursedOfficial), you can listen to us in Spotify and you can buy our music in Bandcamp, iTunes and Amazon. Thanks to everyone who supports us, anywhere in the world, and we wish everyone a happy, pagan 2015!